Another pelargonium by the late Brian West. 'Vectis Finery' is a stellar pelargonium with double spikey pink flowers. It is a cross between Chelsea Star and Vectis Volcano. 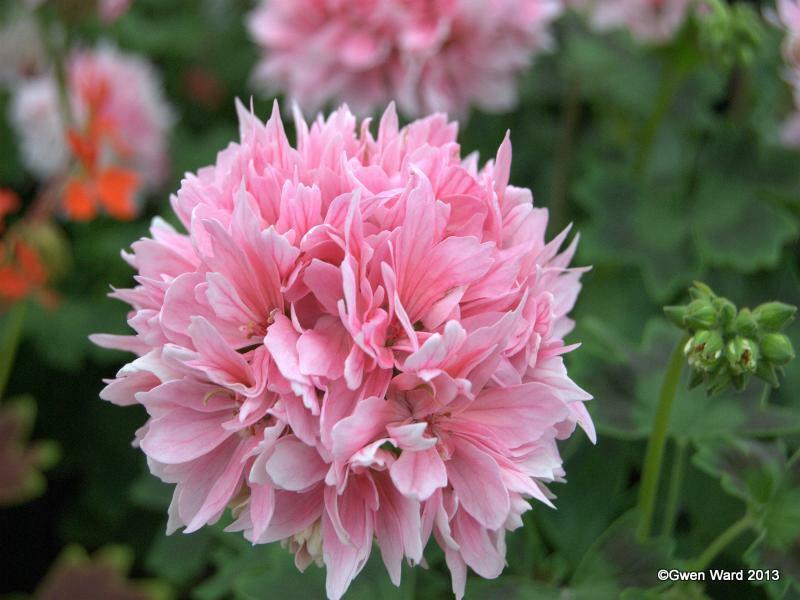 Brian West used the pre-fix 'Vectis' for many of his pelargoniums. He lived on the Isle of Wight and Vectis is the old Roman name for the Isle of Wight.